We are slaves to our own mind. We are slaves of the cage our brain dictates. The mind is a program that never wants to start doing something new. And if he does, he does it very little. Your mind determines if you are worth or not. Maybe there is the spark to resist that, but mind smothers that spark very fast. That is why self-acceptance is so hard for most of us. Whenever you try to something new, he will just slap you until he brings you back to the place you were before. He will do anything to bring you back. He will do all kinds of tricks, he will even start to bring back things from the past, just for you to get scared and give up. Your brain is your enemy. You are giving him energy and your past experiences control you. You are living things that repeat one for another, only roles are switched. The thing I am fascinated the most is that every day we are doing the same things, and that’s how it is year after year. Then the man asks himself where he was all these years. Why hasn’t he lived to his full potential? Why can’t he destroy his ego? If you don’t have illusions in your head, and something bad happens, what do you do? You accept it as a lesson. While when you have a vision in your brain, you get stressed out because things didn’t happen the way you planned. And then we start to hate ourselves. Choose what affirmations you want to have, do you really need what you are imagining? If you don’t learn to accept bad thing you can’t make it. Indians said open old wounds and fill them with love. Christianity says to forgive, forgive others and yourself. In Zen there is positive and negative, the only thing we need to learn is to accept both. The moment you start to create images in your head about future you put yourself in the cage. Choose wisely in what cage you want to be. 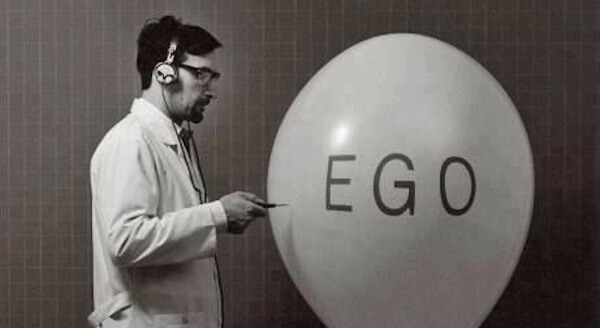 The mind is consist of subconscious and ego. Ego is attacking the image of yourself to bring you under his control. You are bad, you are good, you don’t have enough value, etc…The more illusions you have about yourself, the easier it is for the brain to bring you back to the old system of beliefs. Fear is emotion from which you shouldn’t run or suppress. Fear is on your way to destroy the ego. I will reveal you a little secret. When you are in a stressful situation, let that emotion spread to your whole body, start consciously to breathe and then it will decompose. You need to wait and focus on that emotion in your body. Breathe into it. But when you focus on fear, don’t try to suppress it or to make it go away, that is not your goal here. Your goal here is just to watch that emotion. Be a neutral observer of what is going on in your body. Soon you will feel that fear in your body is getting bigger and bigger until it starts to decompose all over your body, legs, arms etc. This is what you waited for, for fear to disappear. Wait until you don’t feel fear anymore and then you are good. Good job, now you can go in action now. Now when you know all this, choose what you really want and ask yourself do you really need that. Is brain your enemy or your friend? Affirmations are powerful and can be a very good thing to stay focused on your goal. But there is another side to that too. It all depends on what you want out of yourself and how much you care about spiritual things. That being said, one thing is for sure, self-acceptance is a key to happier life.